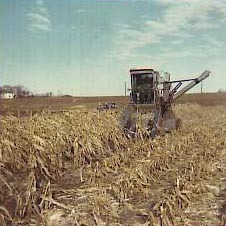 Here is an early 'E' model Gleaner from the 60's harvesting corn. 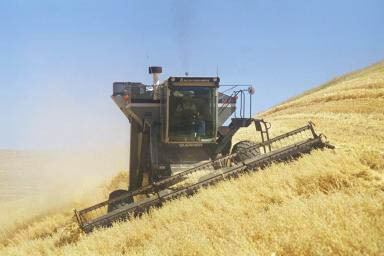 This is an 'A2' Gleaner. 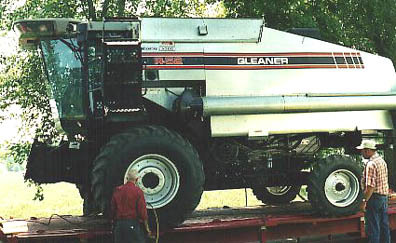 This is a '73 Gleaner GH with a diesel engine and cab A/C. 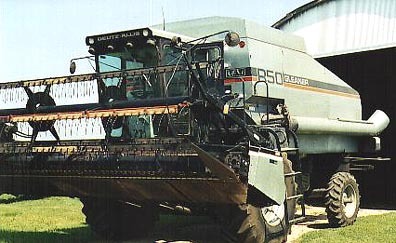 Allis Chalmers was one of the first manufacturers to include A/C in their combine cabs. 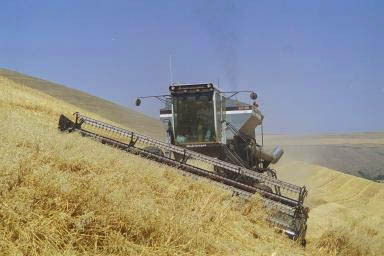 Here's another GH harvesting peas near Walla Walla, WA. This is an MH2 that replaced the GH model. It has a monitoring system that was the forunner of the systems in the later N through R series. Here's a picture showing the impressive sidehill capabilities of the MH2. 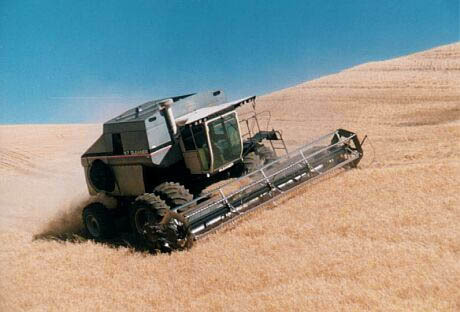 Even with the leveling system though, it's possible for the combine to literally slide down the hill and sometimes they are run with tire chains to keep hold of the ground. 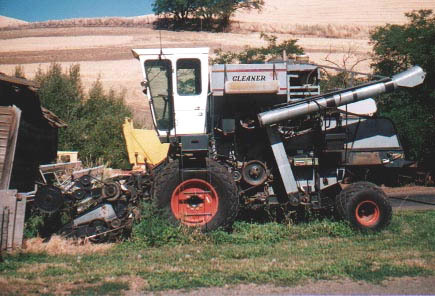 This shows the differences between a '84 Gleaner N7 and a '81 MH2. The N7 in this picture has dual front tires for better flotation and sidehill operation. 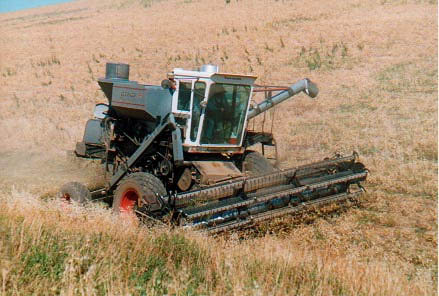 Here is a '91 Gleaner R50 with a model 315 pickup-reel equiped header. Here's an R52 being delivered to a customer. If you look carefully at the front tire rim, you can see holes around the edge, allowing special toggle clamps used to hold on another tire, giving dual front driver wheels. This is an '84 N7 running dual front tires and a standard bat type reel. 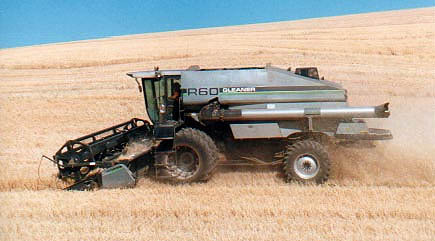 The N through R series combines have a special accelerator system that throws the grain through a blast of air, assuring even cleaning even when on a hillside. The newer machines don't have leveling systems. 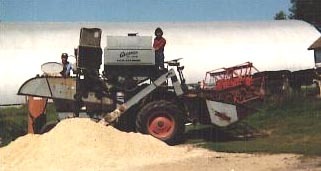 Here is an '89 R60 with rear-wheel assist (RWA) and a sizable extension on the discharge auger.